District 2 Rep. Frank White will be the featured speaker at Pensacola State College’s fall graduation set for 3 p.m. Sunday, Dec. 17, at the Pensacola Bay Center. Doors open at 1:30 p.m. Due to changes in security at the Pensacola Bay Center, all attendees will be required to go through security screening with metal detectors. 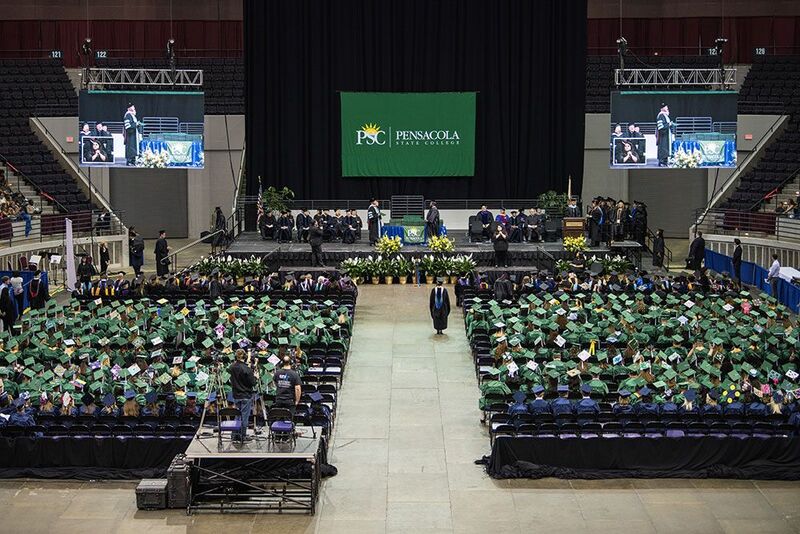 Pensacola State President Ed Meadows will confer bachelor’s degrees, associate degrees and certificates to about 400 graduates at the ceremony. More than 105,000 students have graduated from Pensacola State since the college opened in 1948. In 2016, White was elected to the District 2 seat in the Florida House of Representatives which is made up of parts of Escambia and Santa Rosa counties. This fall, he announced his candidacy for the state Attorney General seat in the 2018 election. 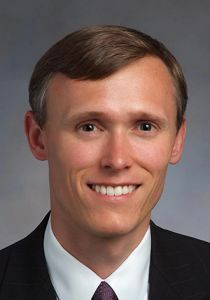 A Texas native, White earned his bachelor’s, master’s and law degrees from Southern Methodist University where he served as student body president and a student representative to the Board of Trustees. He also has served on the Pensacola State College Board of Trustees and was vice chairman in 2016. Before entering public service, White was chief financial officer and general counsel for Sandy Sansing Dealerships and worked as an attorney with the international law firm, Akin Grump Strauss Hauer and Field, LLP. Amber Carey, Robinson Honors Program coordinator and assistant professor of history, language and social sciences, will be the Processional Marshal. Carey earned her master’s degree in Spanish from Auburn University and taught Spanish as an adjunct professor for several years before becoming a full-time faculty member at Pensacola State in 2011. Also, she serves as the chair of the Honors Advisory Council, a faculty advisor for Phi Theta Kappa and on the Black History/Multicultural Committee. In 2015, she was recognized as a Rising Star by InWeekly, and was a member of the Leadership Pensacola Class of 2017.